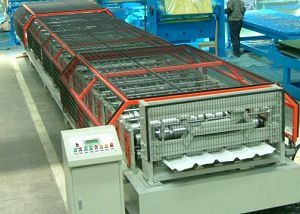 The roll former is the core device in this line. It's high strength close welding panel style. It's driven by the gear and chain with AC motor. The rollers are designed by the professional Germany software processed by CNC machine with long life because of chroming on the surface. The out side of the roll former has movable safety guard. 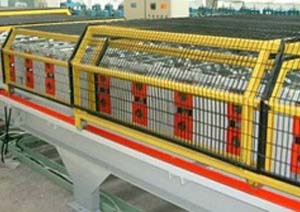 We also can offer the high automatic and high-tech raft structure roll former line. Roll former which can use the quick-exchange style. It can change the stations and mould to get different profile. High precision and can be update any time when you need new profile. You can easy to update and change the products profiles with low cost.